The following is a letter from Their Majesties which is posted by The Gazette at their request. 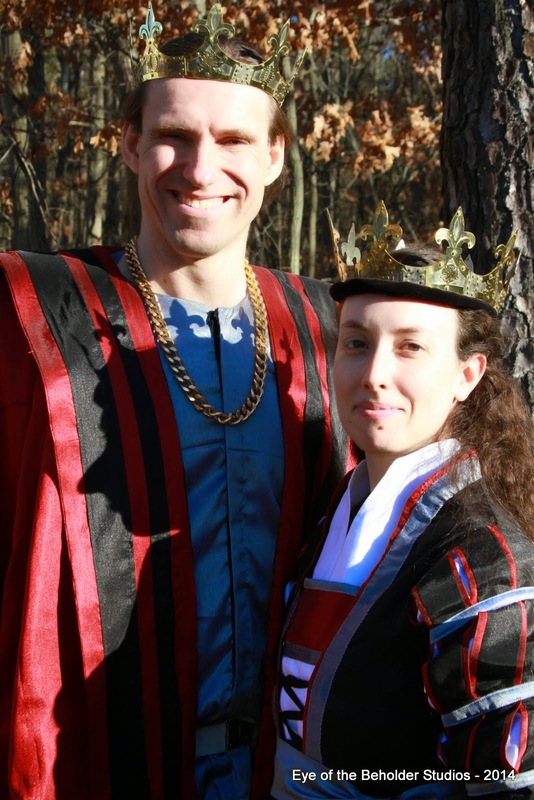 For those of you who may not know, one of the proposals for our Birka Curia was to add the East Kingdom Thrown Weapons Championship and resulting Champions to our Royal court. As Her Majesty and I discussed this matter with our heirs and the assemblage at curia, it has become clear that the thrown weapons community has grown and now represents a significant portion of our populace. We currently recognize: rattan, archery, fencing, equestrian, bardic and A&S champions and are now considering adding thrown weapons. As We consider the implementation of another Champions event, We have significant concerns. Having yet another mandated royal progress event in an already crowded calendar may be the straw that breaks the proverbial camel’s back. However, this is not the fault of the thrown weapons community and should not be borne upon their shoulders alone. Fixing this may require selecting our champions by a different method than we currently use. We need to hear from the populace before our curia at Mudthaw. In any calendar year there are 52 weekends. The Crown must attend: 2 Coronations, 2 Crown Tournaments, 12th Night, 6 (potentially 7) Champion events and some number of Baronial Investitures (We are doing 6). This leaves ~ 32 weekends in a year. This does not include Pennsic (weekends before, during, and after), the ~5 war practices leading up to it or any of the foreign wars: most notably Estrella and Gulf Wars (We attended 2 others). And if the Crown takes 1 weekend a month off, we are now we are down to ~4 to 8 weekends per reign to attend OTHER Eastern events. Taking up the Crown is a major commitment of time, but the logistics can become insurmountable. It has been our tradition that the champion tournaments are the focus of its event (generally running noon-5). And We feel that our mandate to hold a growing number of formulaic events is detracting from our ability to throw truly creative and engaging events. We feel it is important for the Crown to attend events like a masked ball, or an immersion event, or a Rose tournament or events in distant corners of the kingdom. SO… WHAT TO DO? Here are some options, and We are looking for your feedback on them. As we consider the contribution of all martial forms to our society, the questions are: do the throwers deserve a position alongside our other champions? If so, how do we chose to integrate so many champion tournaments into a very full event calendar? If you have counsel for us on this matter, please contact us directly (trm@eastkingdom.org).